"There are diamond rings and then there are rings made of diamond". 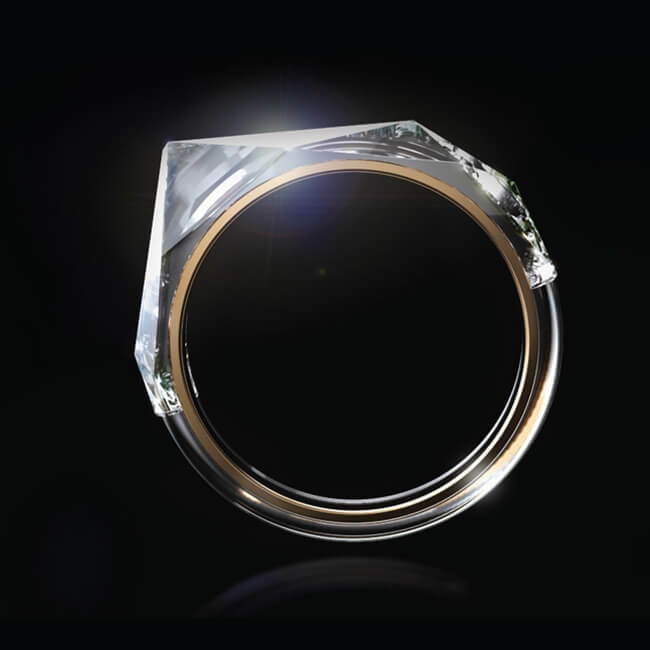 conjunction with the Saint Petersburg-based company New Diamond Technology, this was to be made from a 50karat lab-grown diamond. 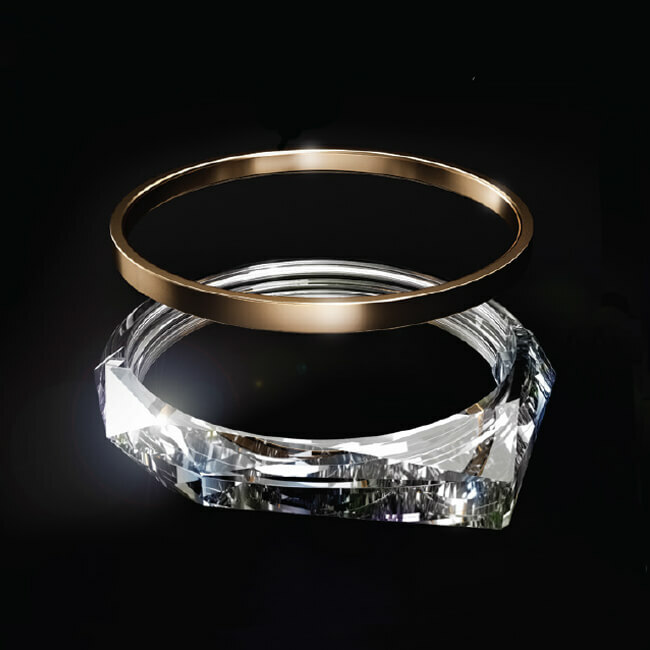 The gold band is not structural but designed for adjusting the ring to an exact finger size, as this will change for the wearer over a lifetime, after all, a diamond is forever!